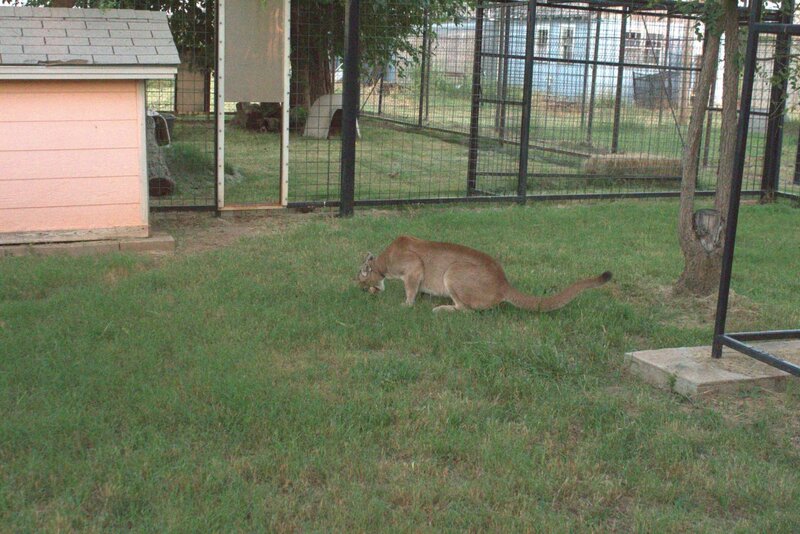 The Feline Conservation Federation (FCF) accreditation committee has announced that Pumarama, a rescue and educational facility in Tyron, Oklahoma has been granted FCF Feline Facility Accreditation. The block cat building is awesome, designed with cleaning in mind. 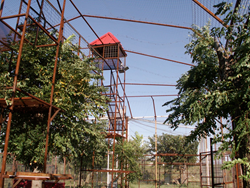 The outdoor enclosures are well constructed, large and full of enrichments. The Feline Conservation Federation (FCF) accreditation committee has announced that Pumarama, a rescue and educational facility in Tyron, Oklahoma has been granted FCF Feline Facility Accreditation. FCF accreditation is awarded to feline facilities that pass a site inspection and extensive written application. FCF accreditation certifies excellence in feline facility and management practices. Pumarama is run by Bob and Leah Aufill. Bob Aufill has over fifty years’ experience with a number of wild felid species from bobcat to lion. His wife Leah has eight years’ experience, starting with hand rearing a puma cub. The Aufill’s feel it's their duty to provide a place for displaced wild cats and to also educate the community about America’s wild cats. Leah has been visiting schools and youth groups giving talks using photos, video and artifacts. Last year Pumarama was approved by the USDA for an exhibitor’s license allowing Leah to lead educational tours of the pumas at the facility. Construction of Pumarama began about five years ago. The Aufill’s have outfitted a converted veterinary clinic into their comfortable home that also accommodates a female Canada lynx, and male southern bobcat. Outdoor enclosures attach to the house to allow the pair of cats to bask in the sun and play outdoors. Pumarama has a climate controlled indoor block building with walk-in cooler and freezer, food preparation areas, a quarantine area, and divided cougar rooms. The building is designed to withstand the extremes of Oklahoma’s weather. Two outdoor multistory puma habitats feature six gauge wire panels welded to two inch square steel posts. One habitat measures 30 by 60 feet and the other is 40 by 50 feet. Both enclosures sit on concrete block footings three foot deep. Enclosure walls are 20 feet tall with towers in the middle. Catwalks run across the top of the two habitats connecting the towers in each habitat. Each space has ample shade from trees inside, and features grass, a dirt mound and extra logs placed about for scratching, jumping and balancing. Two guillotine gates allow moving and separation as needed. The entire facility is surrounded by eight foot tall chain link perimeter fencing. The Feline Conservation Federation is a self-regulating group of exotic feline owners and handlers and professionals that inspected and accredited facilities. FCF member facilities provide both an important genetic resource as well as a key source of ambassador felines used in conservation education. feeding time at Pumarama.Pumarama provides spacious habitats for the big cats.